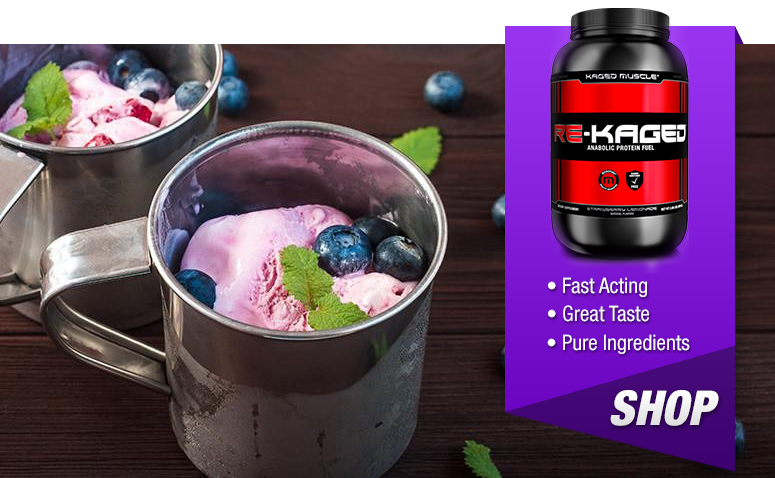 Summer Treat Recipes to Fuel Your Goals via Kaged Muscle - Run.Lift.Move. With summer right around the corner, you may be looking for delicious and nutritious ways to cool down. 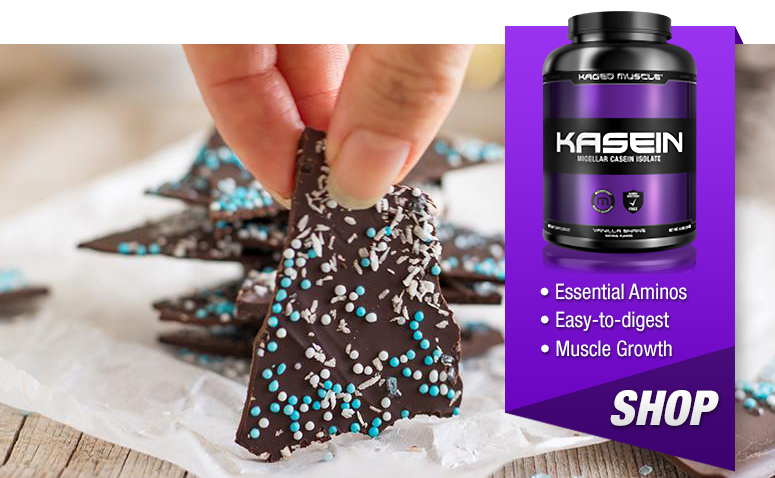 While you’d love to get yourself a large chocolate dipped ice cream cone, you know that isn’t exactly going to fit in with your plan of trying to eat right and maintain optimal health. Let’s weigh your options. You could go for that homemade protein smoothie and call it a day, but you want something a little more creative than that. After all, you’ve been drinking the same protein smoothie all year long – it’s time for a change. Here are five easy summer treats that pack in great nutrition and will help you crush your cravings. When you want a creamy, frozen treat, this protein bar recipe is the perfect solution, and can be a welcome break from the typical protein smoothie. It’s quick and easy to make, and can easily be pulled out for a snack anytime you need one. You’ll get a solid serving of protein coupled with healthy fats in this recipe while keeping things relatively low carb in nature. The end result is a frozen treat that is sure to fit in your meal plan. Place all ingredients in a blender and blend until well mixed. Pour into a freezer safe container lined with wax paper. Freeze for at least 4 hours or overnight. Remove, let stand for 5 minutes and then serve. Everyone loves a gourmet iced coffee drink from the local coffee house, topped with a generous serving of whipped cream. 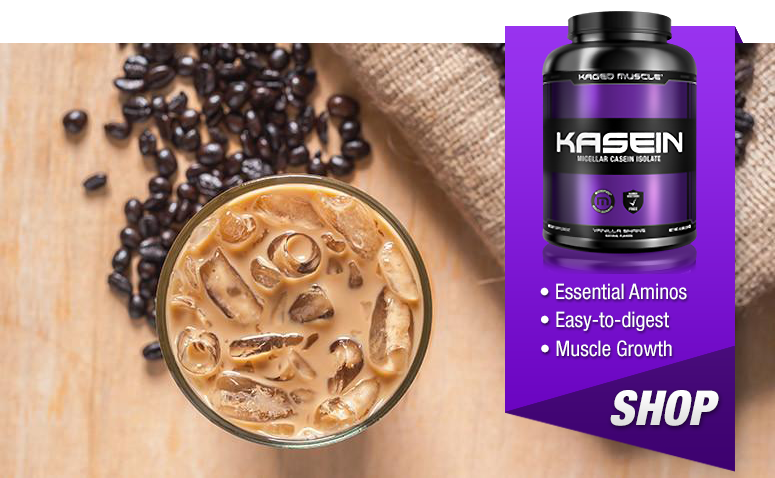 Unfortunately, this can easily provide you with well over 400 calories per serving, with very little nutritional value. Why not prepare a lighter version yourself? This recipe will save your macros and some money! Blend protein powder, almond milk, vanilla extract, and Stevia until smooth. Pour in the brewed coffee and 3 ice cubes. Pulse blend until ice cubes are almost broken apart. Pour into a cup and add the remaining ice cubes. Serve immediately. If you crave ice cream when you’re looking to cool down, this recipe is perfect for you. Not only is it easy to make at home, but it’s also nutritious. This blueberry orange ice cream recipe offers a refreshing change to the classic chocolate and vanilla flavors. In a blender, mix together the frozen bananas, vanilla extract, xanthan gum, Greek yogurt, protein powder, Stevia, and salt. Once well-blended, add the blueberries and blend briefly to lightly mix. Pour into a container and place in the freezer for about an hour. Remove, stir, and serve. If you prefer harder ice cream, simply freeze longer. Slushies are a favorite for many people as the temperature heats up and they look for ways to cool down. However, the slushie drinks for your corner store are loaded with sugar and not much else – not exactly an ideal option for keeping your body composition in check. Fortunately, you can prepare your own without too much trouble. 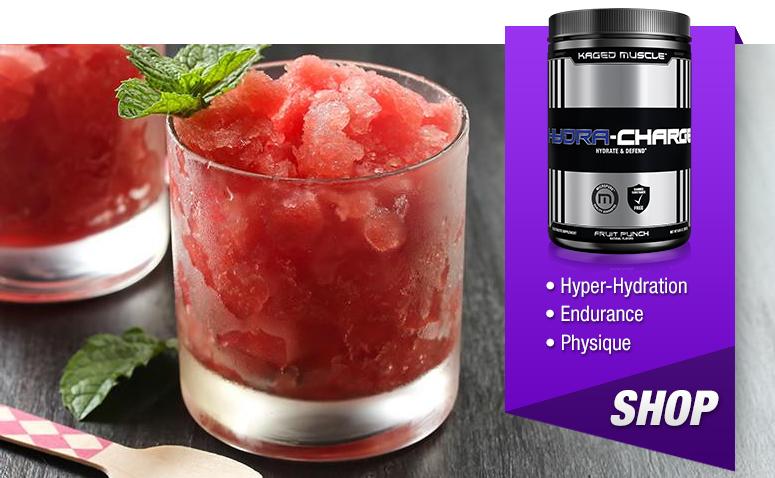 This recipe uses Hydra-Charge electrolyte supplement as the main ingredient, which is sugar-free and will help enhance your overall hydration level, a great bonus in hot, humid weather. Mix 1 cup of water and 2 scoops of Hydra-Charge together. Pour into ice cube trays and freeze for 5-6 hours or overnight, until completely frozen. Once ready, combine the remaining 1 cup of water with one scoop Hydra-Charge. Pour this into a blender and add the prepared ice cubes. Pulse blend until slushy consistency is reached. Serve immediately. Popsicles are an excellent way to cool down on a hot summer’s day, but much like slushies, are loaded with sugar. They’re definitely not ideal for anyone looking to prevent fat gain. The good news is that if you prepare these yourself, you can completely change the macronutrient ratios for a healthy, refreshing treat. 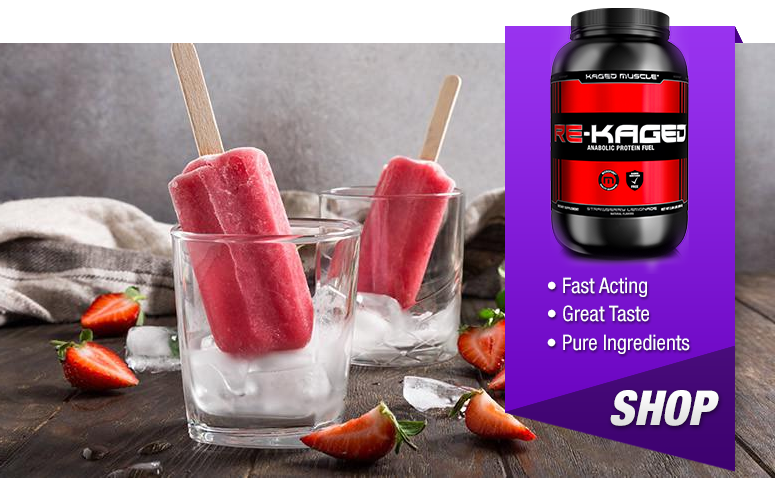 These popsicles will give you a creamy, fruity taste and provide a balanced nutritional profile complete with protein, healthy antioxidant packed carbs, and just a touch of dietary fat. Don’t let the fact that you’re eating healthy ruin your desire for some fun summer treats. These easy-to-make recipes will help you feel refreshed and enjoy some typical summer treats. It goes to show that with a little creativity, you can treat yourself to something special without throwing off your goals.